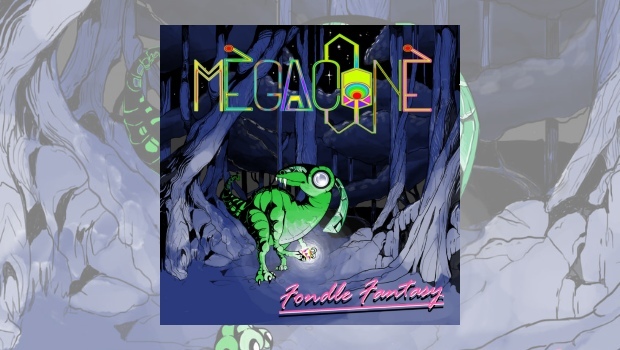 Released at the very end of January 2015 Ireland’s Megacone have made a strong opening statement with this, their bizarrely titled debut, Fondle Fantasy. Just four tracks, clocking in at a little over twenty minutes, that say much but never outstay their welcome. A combination of high energy instrumentals, with subtle changes in dynamic, certainly make you want to listen on. What I like about these young guys is that they don’t let their obvious skills get in the way of producing listenable music. Granted there’s meter shifts aplenty and incendiary guitar playing, but tied in there are some ear friendly tunes – all of which are strategically to be found in the EP’s opener. Ouncy Castle on the other hand shows the band can produce a great instrumental without employing oodles of distortion. Nice to hear some crisp guitar runs played with clarity and finesse. There’s also more than a hint that Megacone have a sense of humour and the playful, Mike Oldfield-esque melodies, towards the end of the track, must surely be a winner during their live shows. Although much heavier and without the vocals, Aliens: Unsealed From The Future (What If? ), had the harmony guitar sounds of Wishbone Ash fleetingly drift across my mind. But this is a much heavier beast altogether and similar to The Accidental, the band throw the tempos around and bludgeon them into submission. Concluding this introduction to Megacone is arguably the standout tune from the EP. Astatine’s delayed and fluid guitar runs are delightful. The rhythm section is sympathetic, modern in feel, and fairly straightforward, which sits well with the busier top lines. We recently posted, in the TPA News, a new track from Megacone, one of four currently in the pipeline. So hopefully there’ll be some new material emerging from these five musicians in the not too distant future.